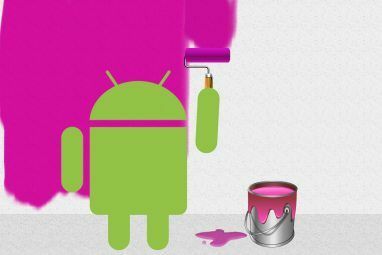 Looking to beautify your Android icons, but don’t want to pay money? I tested out a large number of free custom icons packs and found five of the best you can find anywhere — without paying a dime! My criteria for evaluating icon packs focuses on three elements: First, how does the pack handle icons that it lacks an icon for? For example, some packs use a visual style that’s in line with the majority of default app icons. Others apply a template design to unthemed apps, which reduces or eliminates clashes between completely different looking icons. Second, how aesthetically well-designed do the icons look? Third, how large is the icon library? The Mianogen theme icon pack includes a wide variety of Holo designed icons. The Holo design paradigm, as advocated by Google, combines high-contrast colors with minimal lines. Out of all the icons, I prefer Mianogen’s style. Unthemed icons: The design of the Mianogen icons is very subtle. You won’t even really notice the difference between Mianogen-themed and unthemed icons. Although, it does not apply a custom template to unthemed icons, I didn’t find this incongruous. Aesthetics: Mianogen’s minimal, colorful and high-contrast colors take the top spot, along with Holo Icons, for design quality. Number of icons: I didn’t get an exact count of Mianogen’s icons, but out of the 25 icons on the first page of my app drawer, nine were custom themed. Mianogen actually has the smallest number of custom icons out of all the packs I’ve tried. Aesthetics: Compared to the other packs, Holo Icons look amazing. Relative to the other free icons, Holo Icons uses a slightly less minimal style than Mianogen. I rank it first among all icon packs in terms of the quality of its design. Number of icons: It’s difficult telling DCikonZ’s custom icons away from his template-applied icons. It appeared that 14 out of 25 were custom created, giving it the second highest number of icons out of all those spot checked in this review, next to MIUI v5. However, his larger portfolio appears to include hundreds, if not thousands of icons. Another method of applying a custom theme is by opening the theme’s app. While some custom themes do not allow this, many do. Just fire the app up and for most icon packs, tap on your launcher. These icon packs frequently require either Apex, GO, ADW or Nova. Nova Launcher, which I recommend, possesses extraordinary theming capabilities Nova Launcher - Even Better Than The Default Android 4.0 Launcher Nova Launcher - Even Better Than The Default Android 4.0 Launcher Up until Ice Cream Sandwich (Android 4.0) came along, Android’s interface felt somewhat less polished than iOS’s. 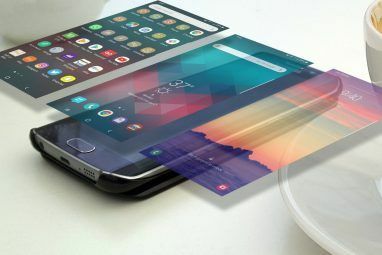 But with Android 4.0, Google made a clean break with the previous visual style for Android, introducing Holo... Read More . For the aesthetically oriented, try your hand with building a custom widget Create The Homescreen Of Your Dreams With The Super-Customizable UCCW Widget [Android] Create The Homescreen Of Your Dreams With The Super-Customizable UCCW Widget [Android] One of Android's greatest strength is how customizable it is. 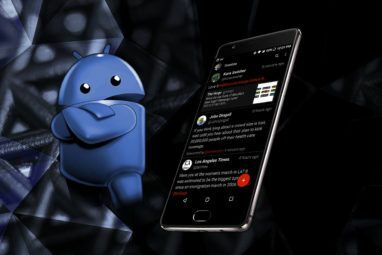 Even without rooting your device or installing a custom ROM, you can do some incredible things to shape your phone to be just the way... Read More , using the acclaimed UCCW widget builder. Spicing up your visual life in Android only takes two apps: a launcher and a custom icon pack. I prefer the visual styles in Mianogen and Holo Icons, but the overall best icon theming experience comes from DCikonZ. DCikon’s work shows a great deal of visual complexity, albeit primarily for darker wallpapers. Anyone else love free custom icon packs? Got a favorite? Let us know in the comments! Can you change your incons with just stock launcher? Unfortunately, the stock launcher doesn't support custom icon packs. It's pretty easy to use, too! I love Tersus. The theme of these icon packs was that they were supposed to be free. The title got changed around a bit, though. Out of the paid packs, so far I also like Flatro and Stark. But there's so many good ones out there! Ah, okay that makes sense then.. I was very surprised that Tersus and Stark hadn't made the list! I use DCikonz on my S3 and my N7 for my app drawer BECAUSE it has so many icons. You must have some very obscure apps installed because of the 36 on my first page, 30 are themed. I also like Samantha Connor's icon packs. I use her Dainty pack on my N7 home screen. Cool thanks. I'll give it a shot. Awesome! Thanks for the recommendation! That's a really outstanding icon pack. I like the customization ability that launcher provides but I'm still struggling to like android logo architecture for some reason. Maybe it's the size or the missing bezel, lack of uniformity, i don't know.. Its just a little off. Does anyone else find that ?